I loves me a good dupe, I do. I seem to find ones for MAC lipsticks a lot, because I am always drawn to the same colours. I am predictable, what can I say? I recently picked up the Revlon matte balm in Unapologetic, and after I had slicked it on I realised that it was *exactly* like MAC Impassioned. Curses! I don’t really need two copies of one product, but then again maybe I do… hmm. I clearly like the colour. Impassioned is a yellowy pink that pulls a little bit coral, and is such a summery colour. It really brightens up your face, and I have been obsessed with it recently. 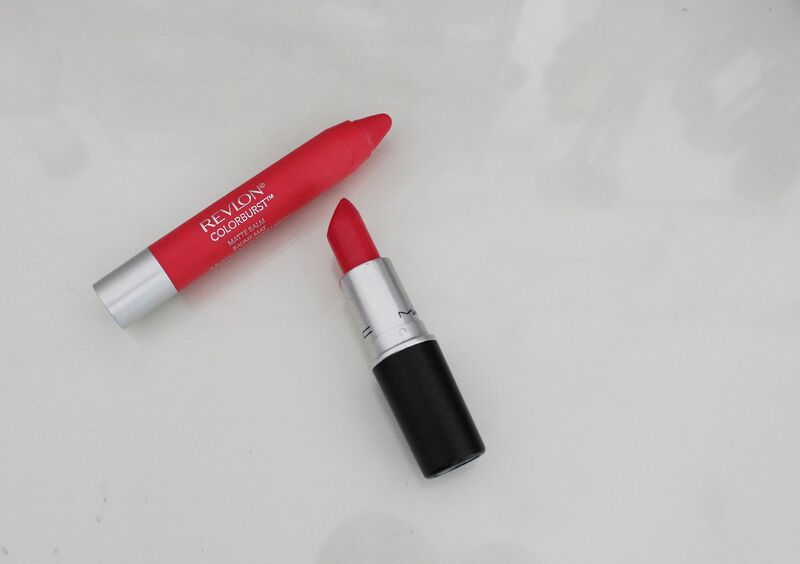 The Revlon dupe has exactly the same tones, which means that it’s equally brightening. The formula is maybe a bit less opaque than MAC, and it does seem to wear off a bit faster, but you’re essentially looking at an identical product colour wise. 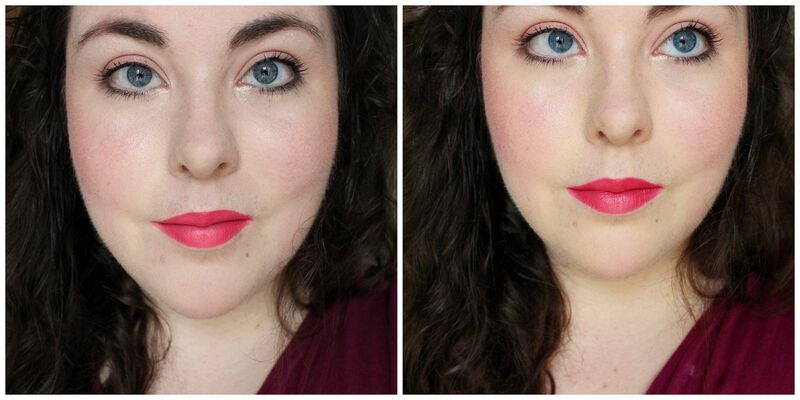 I found it hard even telling them apart in the photos… Revlon Unapologetic on the left, MAC Impassioned on the right.